Haynes Car Dayton Airless Tires. 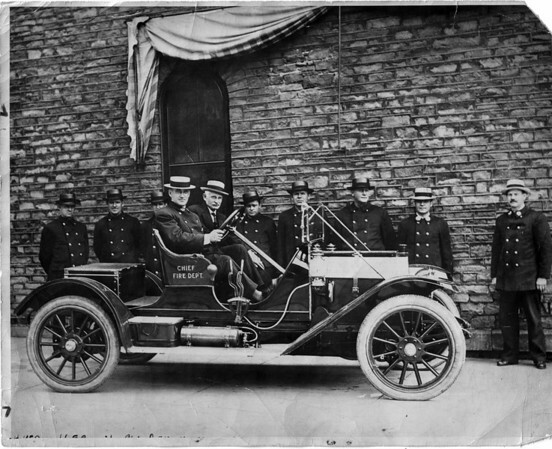 James Green, H. McDonald, E. Cassiby, Chief Otto Utz, Mayor Phillip J. Keller, J. Ellis, Geo. Steve, James Keowgh, Captain Power 2nd Assistant Chief Miller. Photo -By Niagara Gazette - 1910.